Winner of the Public Relations Society of America’s prestigious Prism Award, Roland Communications was founded by Walter Roland Moore and Annet Stanovich Peairs in 1984 with specialization in entertainment public relations. Since 1995, the company’s services emphasize marketing and event production. With clients ranging from Harley-Davidson® to the City of the Los Angeles, the company’s events range from galas for 100 to rock festivals for 100,000. The Roland team comprises a network of up to 200 outside staff and consultants with cultivated relationships that span a minimum of ten years. In addition to production, the company’s comprehensive services include advertising, marketing, public relations. Recent Chamber Affiliations: Hollywood Chamber of Commerce • Beverly Hills Chamber of Commerce • Sherman Oaks Chamber of Commerce • Glendale Chamber of Commerce. A commitment to uncover the Concepts, Hooks, and Angles that increase Response Potential… or create them through Concept Development or Brand Reinvention… A strategy to utilize all existing outlets to achieve the ultimate end result: BUZZ… the placement of a brand in the Ether and the Consciousness of the Masses. Born in San Pedro to an extended family of Yugoslavian immigrants, Annet grew up in the area’s local fishing industry. When her parents moved to Arcadia, she spent weekends at Santa Anita Racetrack working with her father’s race horses. While attending Cal State LA, she ventured into acting and modeling. She studied with Eric Morris and moved into TV and film production. As a production assistant on Bravisimo, the first Latin entertainment television series on ABC-TV, she met Walter Roland Moore and formed Roland Communications. For 30 years she has served as the company’s production manager supervising hundreds of staff on concerts and festivals. As Annet Stanovich, she recently resumed her career as an actress with a guest appearance on a national TV show. Born in New York City in the 1950s, multi-creative Walter Roland Moore was raised in the shadows of London Terrace in Chelsea and the Marble Hill projects in the Bronx. Trained as a professional writer with a B.A. in English, his voluminous output includes copywriting, press materials, biographies, live event scripts, and much more, including speechwriting for automotive icon Lee Iacocca. As a founding partner of RoIand Communications, he has served as the company’s Creative Director and the booker of over 50 major artists ranging from Cheap Trick and Sheryl Crow to Sammy Hagar and ZZ Top. Happiness is Roland & Associates. Thank you for all of your hard work on the St. Patrick’s Day Festival at L.A. Live. 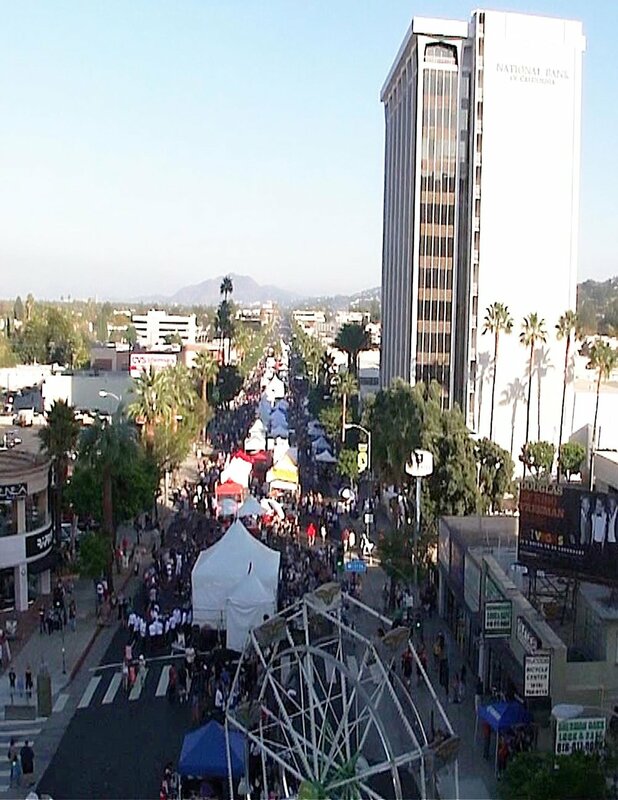 It was a great success and a wonderful expression of civic pride for the people of Los Angeles.